Author: Pelecanos, George Set In . . . Description: Gus Ramone is "good police," a former Internal Affairs investigator now working homicide for the city's Violent Crime branch. His new case involves the death of a local teenager named Asa whose body has been found in a local community garden.The murder unearths intense memories of a case Ramone worked as a patrol cop twenty years earlier, when he and his partner, Dan "Doc" Holiday, assisted a legendary detective named T. C. Cook. The series of murders, all involving local teenage victims, was never solved. In the years since, Holiday has left the force under a cloud of morals charges, and now finds work as a bodyguard and driver. Cook has retired, but he has never stopped agonizing about the "Night Gardener" killings.The new case draws the three men together on a grim mission to finish the work that has haunted them for years. All the love, regret, and anger that once burned between them comes rushing back, and old ghosts walk once more as the men try to lay to rest the monster who has stalked their dreams. 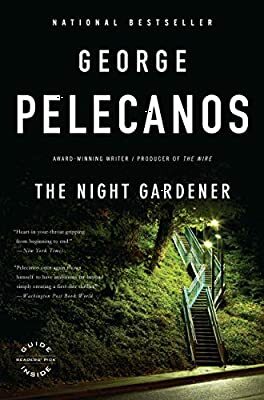 Bigger and even more unstoppable than his previous thrillers, George Pelecanos achieves in THE NIGHT GARDENER what his brilliant career has been building toward: a novel that is a perfect union of suspense, character, and unstoppable fate.